Outsource your corporate data protection to a trusted managed service provider (MSP) that has unique access to independent software vendor (ISV) trainings. They invest significant time to understand backup implementation procedures inside and out so you don’t have to. Safeguard your data by keeping a copy off-site. By backing up corporate data remotely, you avoid simultaneously destroying both original data and backups should a physical disaster (like theft, fire or flood) or digital danger (like a network-wide malware infection) occur. Offload maintenance and management to your cloud service provider instead of worrying about managing storage at an off-site location. 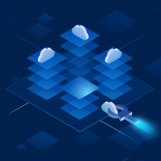 STI Managed Backup, powered by Acronis, is a reliable hybrid cloud backup solution for businesses of all sizes that protects more than 20 platforms, anytime, anywhere, and faster than anyone else. Eliminate expensive equipment and backup software purchases. With STI Managed Backup, you can protect your systems and data at an affordable, predictable, monthly rate. Comply with business requirements and industry regulations by choosing the right storage for your needs. Backups can be stored on premises, in the secure Acronis Cloud Storage, public clouds, or a local storage provider. Enjoy our solution’s web-based, touch-friendly console to access backups and restore files wherever and whenever it’s needed. There will be no need to contact MSPs to execute basic tasks. Forget about implementation hassles. STI Managed Backup is a turnkey, all-in-one BaaS solution, with almost no requirements or special prerequisites for customers. Only a lightweight backup agent is needed for installation. Defend your files and backups from ransomware. Traditional backup software is vulnerable to attacks that can delete backup files. STI Managed Backup shields them with the backup industry’s only artificial intelligence-based anti-ransomware technology. To bring you the best possible backup solution, STI has partnered with industry leader Acronis. Acronis sets the standard for hybrid cloud IT data protection through its backup, active protection from ransomware, disaster recovery, and secure file sync and share solutions. 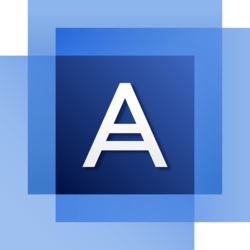 Powered by the Acronis AnyData Engine and set apart by its image technology, Acronis delivers easy, fast, complete and affordable data protection of all files, applications and operating systems across any environment—virtual, physical, cloud, and mobile. Founded in 2003, Acronis protects the data of over 5 million customers and 500,000 businesses in over 150 countries. With more than 200 patents, Acronis products have been named best product of the year, and cover a range of features, including migration, cloning and replication.Today, Acronis solutions are available worldwide through a global network of service providers, resellers, distributors and cloud distributors. Click to start your free trial now, or if you would like assistance in selecting right configuration for you, please provide us with some information below, and an STI representative will get back to you as soon as we can! Wide range of recovery options: entire machine, ESXi configuration, single files and folders, databases, Office365 mailboxes, etc.